Tiny Pyrite Pyramids. Perfect for a windowsill, a nightstand, or crystal gridding. 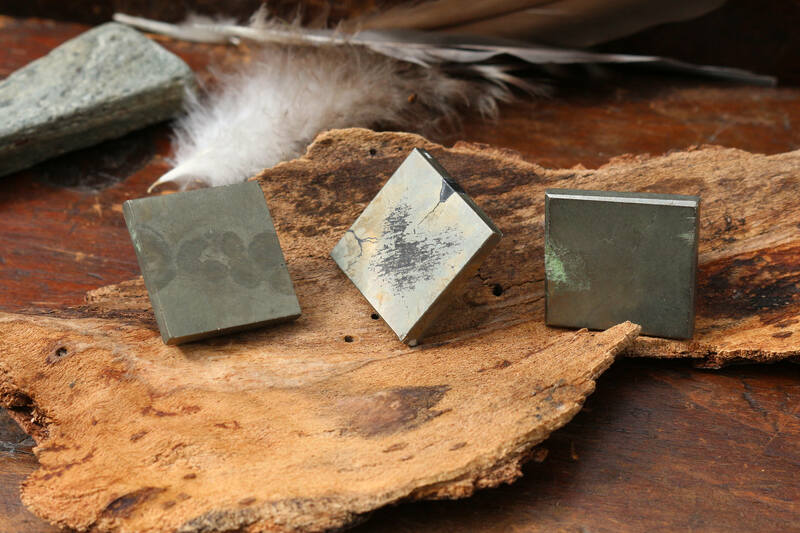 They are small enough to carry in your pocket as a Talisman for extra good luck. They are all almost identical in size and weight so please let us select one for you. A Pyramid is a three dimensional shape that is created by a polygon as its base, and triangles as its other faces, where all the triangles meet at a common vertex. From a metaphysical standpoint, Pyramids amplify and then tightly focus energy through the apex (the top/point of the Pyramid). A crystal pyramid can be used to draw off negative energy and blockage from the Chakras. Gemstone Pyramids are also used to enhance and focus the inherent properties of the stone. Pyrite, also known as "Fool's Gold" is from the Greek word "pyr" meaning "fire." 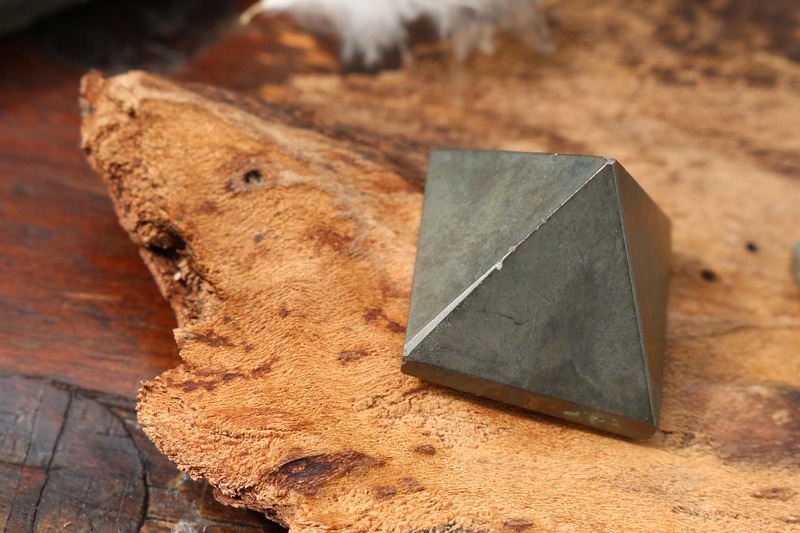 Pyrite can and has been used to create sparks for starting fires if struck against metal or another hard material. 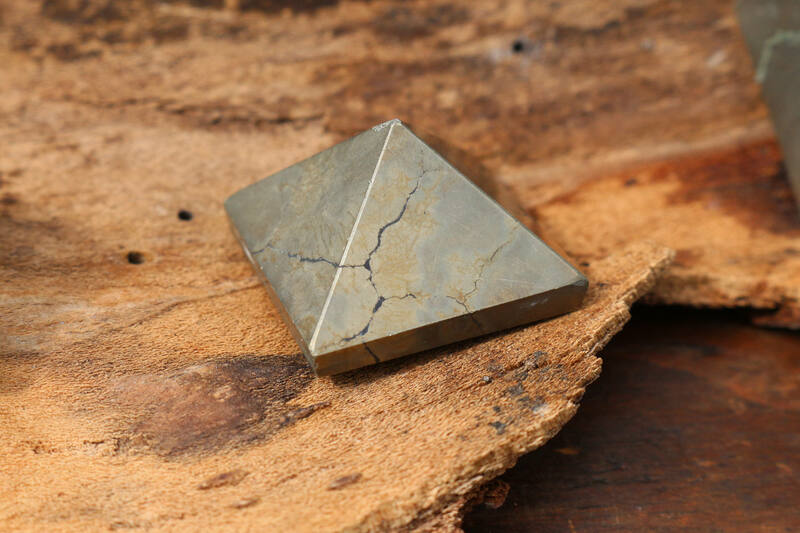 Pyrite has a unique protective power as it draws energy from the Earth into the person's aura and creates a shield against negative energy and emotions, environmental pollutants and physical harm. If placed on a table or desk, energize the area around the stone. 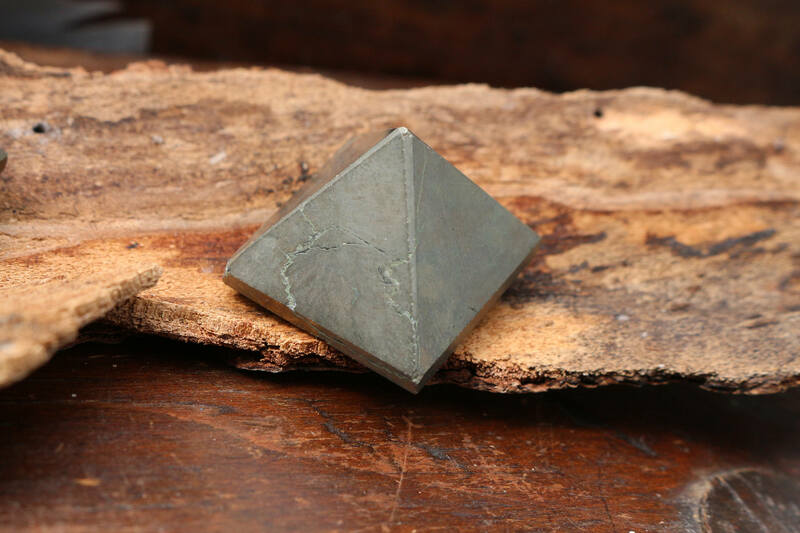 Pyrite is helpful when planning large business concepts as it teaches you how to see beyond façades and realize what is actually in front of and around you. 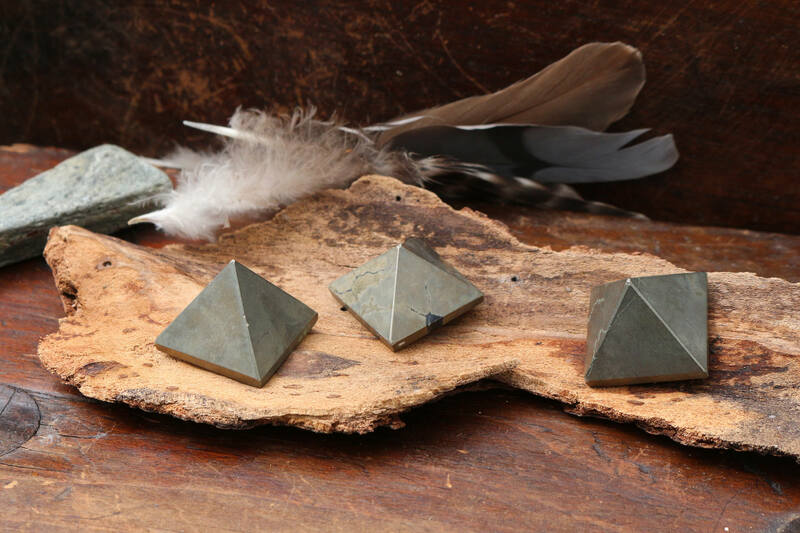 Pyrite is also known to help relieve anxiety, frustration and boosts self-worth and confidence.